Frankie: I don’t even know you. Jackie Cogan: Very few guys do. So here is a movie about wiseguys dealing with a mob heist, presidential politics, and the American financial crisis. I have a feeling that some people are going to be upset with this film for not being what they expected. 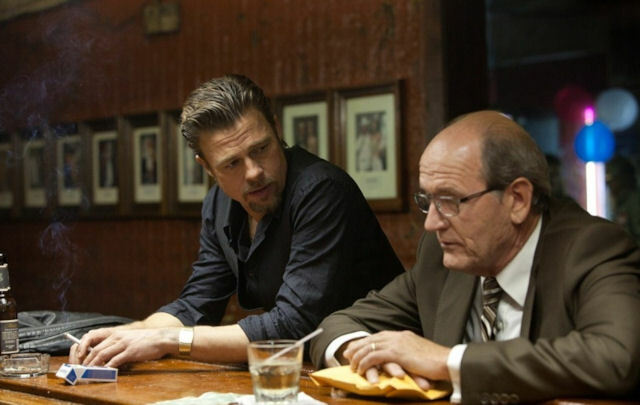 Regardless, Killing Them Softly is a sly, dark comedy-drama, with Brad Pitt in a wonderfully effective role as a professional enforcer. The film is well-acted, very stylish, often heavy-handed with how it presents politics, but at the same time very involving. 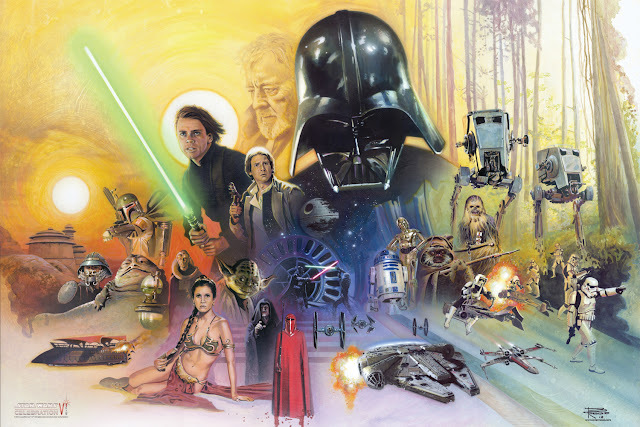 I think it’s the dialogue and the unassuming, straight-forward flow of the film. 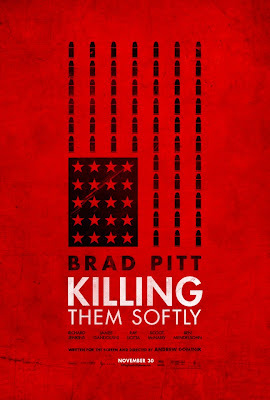 Killing Them Softly does not feel like the traditional, hip, modern mob movie. It felt like something different, but something I was very happy to watch. The film is set in an unnamed city in America (filmed in New Orleans), but very specifically set during the election period of 2008. A local mob hood hatches a scheme to rob a high-stakes poker game consisting of other mobsters. 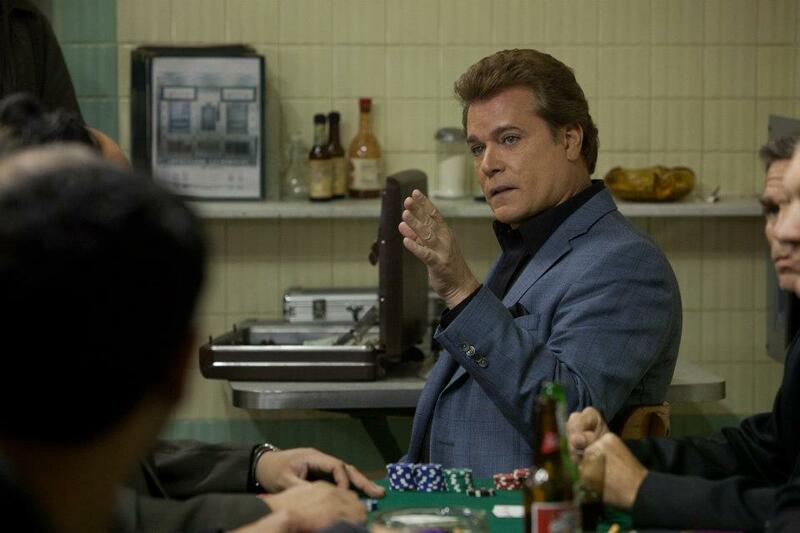 He enlists two crooks, Frankie and Russell (Scoot McNairy and Ben Mendelsohn), to rob this game, with the plan being to pin it on the game’s regular dealer, Markie Trattman (Ray Liotta). They figure suspicion will be towards Markie anyway, as he previously pulled the same thing on his own game. 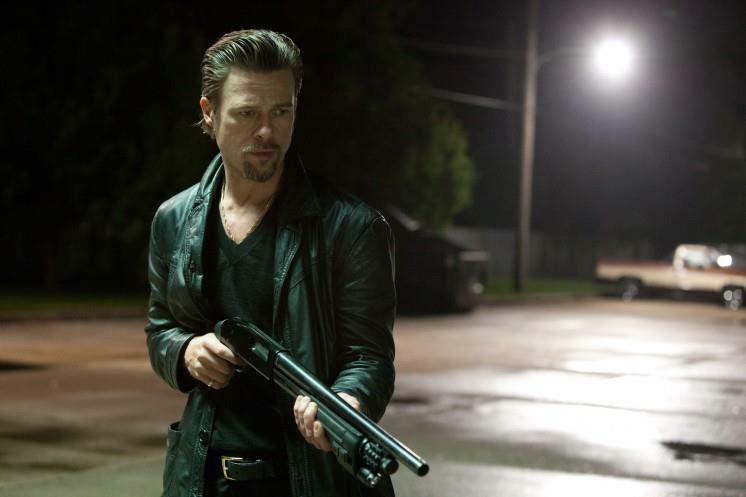 This heist goes down, which leads to an enforcer, Jackie Cogan (Brad Pitt), being brought in to investigate what really happened. 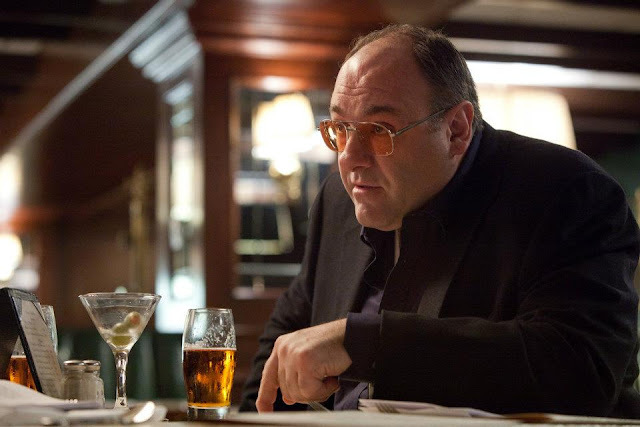 Jackie deals with a middle-man (played by Richard Jenkins), who goes over various details with him, including who needs to be whacked, which leads to another hitman being brought in (James Gandolfini), in order to assist. Much like the crime these people participate in, Jackie is all about being organized, which is why it will be important for him to deal with all the ins and outs of this situation. Story-wise, this movie is a straight shooter. 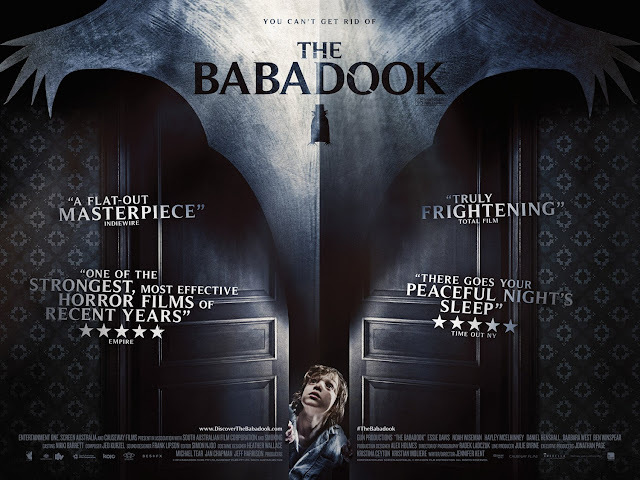 There is practically no fat on the bones of this film, which moves along at a fairly deliberate pace, but still only clocks in at just over 90 minutes. The plot is setup clearly and may only be confusing for some due to the fact that it would seem movies like this generally have more elaborate twists and turns in store for the viewer, except that is not really the case here. 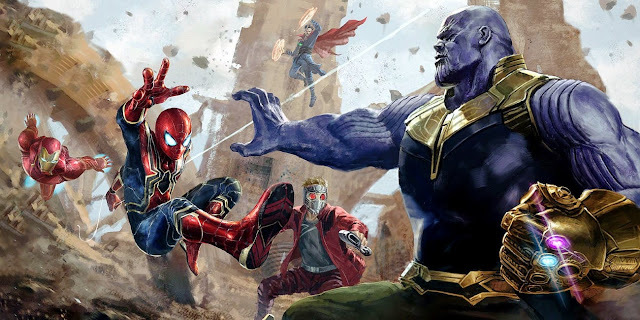 Instead, this is a movie that uses dialogue to very efficiently set up the stakes and proceeds to show what it needs to in order to have this story get where it needs to go. That general reading on how the story unfolds could make this film sound fairly cold, but it is also very entertaining. 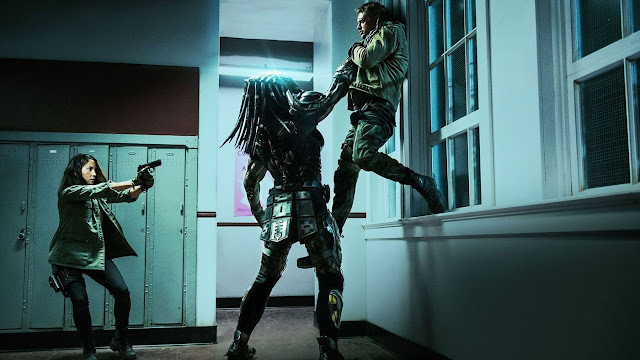 There are a lot of comic beats in this film that mainly rely on how dialogue is delivered from the various actors involved, but it does work in some ironic and satirical jabs as well. While Killing Them Softly does not at all feel like it belongs to the Tarantino School of clever gangster films, with pop culture-infused dialogue being spouted all over, the film can be very funny at times, despite having a more capitalist-related agenda on its mind, as the film tackles “hope and change” versus the dirty business at hand. Based on the 70s novel, “Cogan’s Trade,” by crime novelist George V. Higgins, Killing Them Softly is a modernized version of that story, with a lot of emphasis placed not only on the criminal activity occurring, but on the state of the economy at that time, which is reflected by how these various gangster characters regard money. In a way, this is the movie’s main flaw – the way it handles this motif, as it becomes very apparent, given the constant use of speeches in the background from various political figures and how some of the dialogue is structured. The film may not rely on pop culture references, which is supposed to instead give off the vibe of how people really talk, but at the same time, I do not exactly think some of these economic-based monologues we hear best reflect how people speak either. Australian director Andrew Dominik handled adapting the novel as well and certainly applied a cynical touch to the proceedings, regardless of how much is really there to take away afterward. Regardless, I still found a whole lot to enjoy in this film, despite spending so much time on how on-the-nose one aspect might have been. Visually, this movie is very arresting. There are long takes and directorial decisions that revolve around how conversations are handled, which seem very much in line with what someone like Terrance Malick is capable of. The heist, which takes place early on, cuts away all of the comic aspects that have led up to it and is played with a quietly chilling touch. Another sequence involves a use of slow motion that incredibly stylistic in the way it portrays what is going on and what it means. 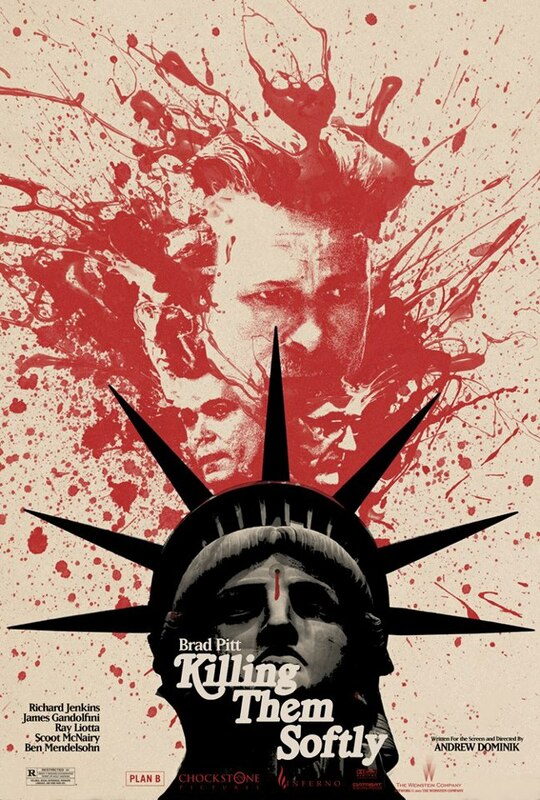 Violence, as a whole in this film, is quite brutal and not glamorized. Things that would be painful look that way. Regarding the performances, this stellar, all-male cast does a fine job in bringing to life the very well-written dialogue. 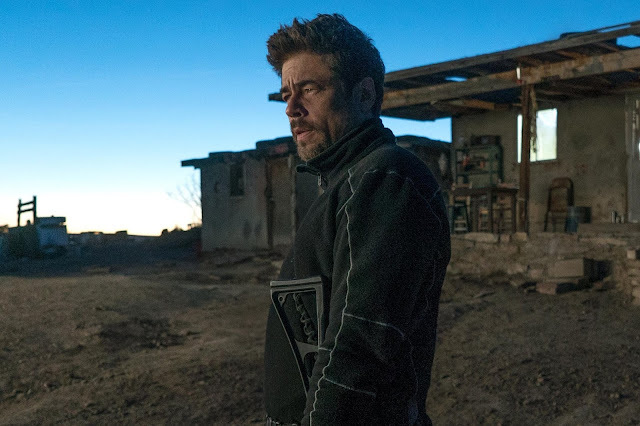 People may regard Brad Pitt as some sort of blockbuster star, but he continues to shine best in these more complicated, character-focused films that allow him to stretch. His character Jackie conveys a cool confidence, managing to be funny and serious in the same breath. Richard Jenkins is in a role that brings out his best in the way he can navigate seemingly straight-forward dialogue. Ray Liotta is cast somewhat against type in regards to where his character ends up, because he’s playing his type of character, but is the victim of some really unfortunate circumstances. I can see James Gandolfini almost being written off by some as a distraction, but I really liked what he added to the film as well, as this sort of out of control, grizzled veteran. Lastly, Scoot McNairy and Ben Mendelsohn do some very fine work together and add a neat element to the film overall. 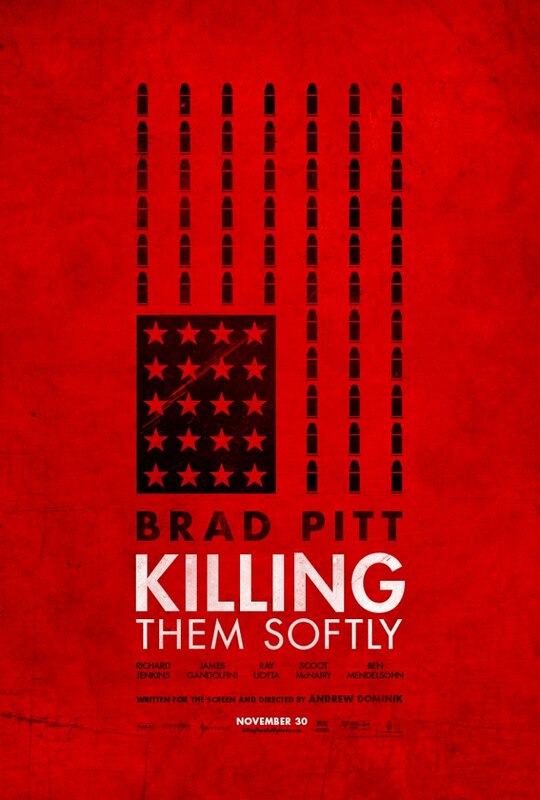 I found Killing Them Softly to be a very interesting version of an American crime film. 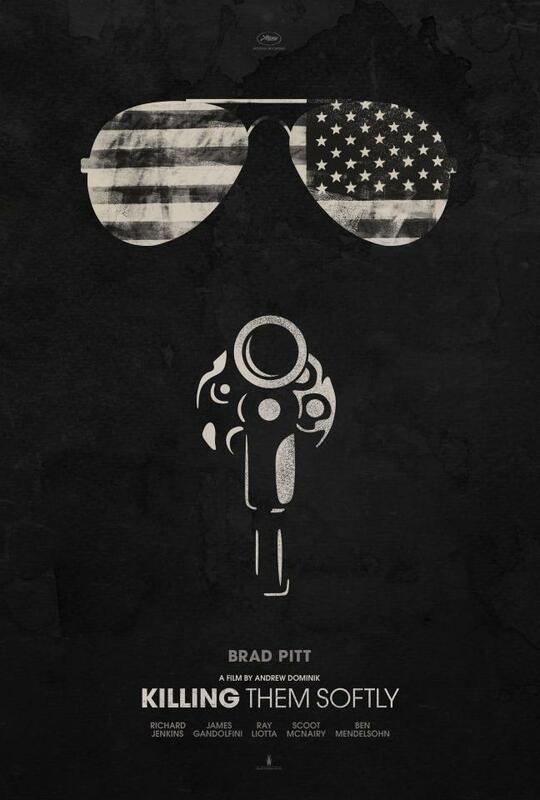 Maybe it’s because it was handled by a man not from America, but the way it brings about dark comedic elements within the structure of a heist film that is more about the examination and fallout out of a heist made the film very compelling to watch. Whether or not audiences find the other aspects of what this film has on its mind as interesting will be something I will be curious about, after it is released, but I still hope it is appreciated nonetheless for how impressive of a production this is for many reasons. 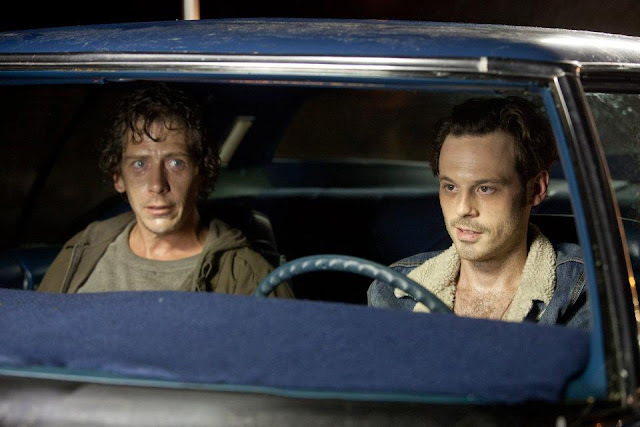 It’s a darkly comedic, yet straight forward crime drama, with plenty on its mind. Jackie Cogan: I live in America. America’s not a country, it's a business.